If you still have Windows set up so that it shows a tip when you first sign in, you can add your own message, or change the ones the developers created. Create a new string value named by incrementing the existing value names and set it to the required tip text. 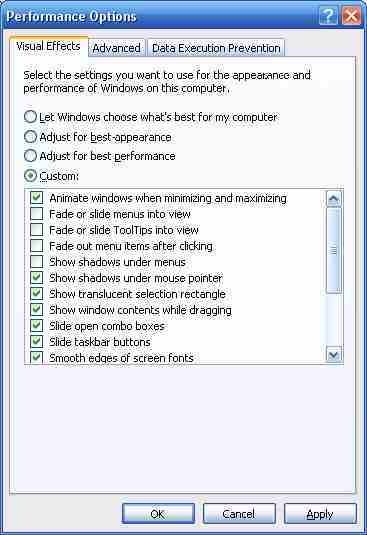 Windows allows you to choose the picture that is displayed on the logon screen and the Start Menu. It is absurdly easy to change the picture. Just double click the picture that appears on the menu (as opposed to the Classic menu) and follow the prompts to Browse to the location of the graphic you want to show. 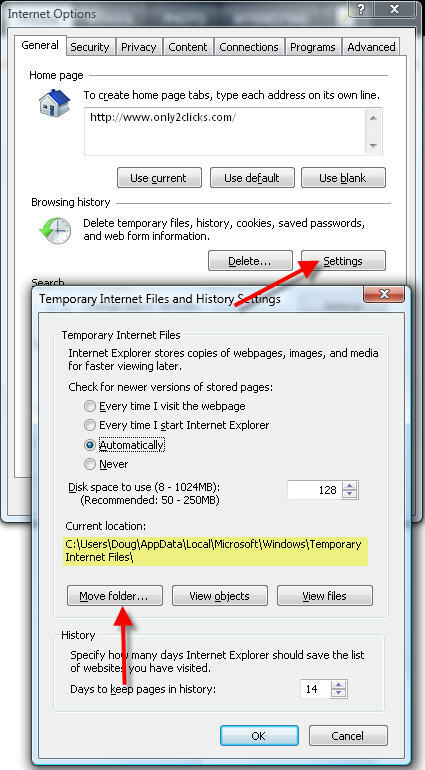 If you are tired of crunching down three keys to logon your machine, here is the way to get rid of Ctrl+Alt+Delete. It does involve a registry hack so be careful and back up the entries before doing this. Ever work at a computer that had been assigned to someone else in the past and be bothered by seeing their name pop up all the time? You can take charge of your own life! You could also change the RegisteredOrganization. Balloon pop-ups typically appear when new programs and hardware are installed, when disk space becomes limited. If you do not want balloon pop-ups to appear, you can prevent them by setting values in the registry. For EnableBalloonTips, the value 2 enables balloon pop-ups and the value 0 disables them. For Start_NotifyNewApps, the value 1 enables balloon pop-ups and the value 0 disables them. Note When EnableBalloonTips is disabled, enabling Start_NotifyNewApps has no effect. Remove the check by "Highlight newly installed programs"
You can write and display your own warning notice (up to 256 characters). It takes just a little trip into the bowels of the Registry editor. Windows XP/Vista has its own, hidden, character creator, called the Private Character Creator . Using Private Character Editor (PCE), you can create up to 6,400 unique characters (such as special letters and logos) for use in your font library. PCE contains basic tools for creating and editing characters, along with more advanced options. The Private Character Editor is accessed at Start>Run and enter "Eudcedit" without the quotes. After you have constructed and saved the design of your choosing, you can access it from the Character Map by selecting Start>Run "Charmap". Drop the Font selection list down and choose All Fonts (Private Characters), then click on the character you have created, copying and pasting it into any document. Hermann Zapf designed some of the 20th century's most important fonts, including Palatino and Optima. He also produced a collection of decorative symbols called "dingbats", modeled after the accidental lead drippings collected by old style typesetters. 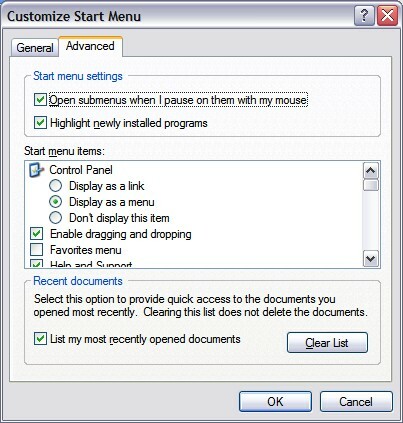 "When you right click certain files, you'll see a selection to "open with," and when you click it, you'll see a list of programs to choose from. You can remove some of the applications from this list if you will never use them to open this type of file, or you can clear the list completely, by editing the registry. Scroll down the list of file extensions to the one for which you want to edit or clear the list. 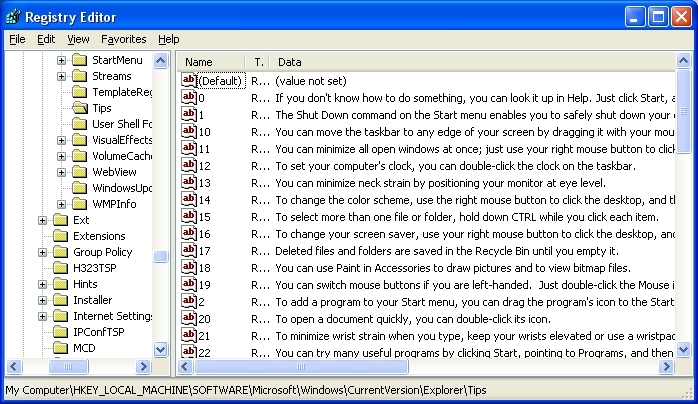 In the right pane, you should see a list of programs (for example, Word.exe, notepad.exe, etc.). Click the one(s) you want to remove. Press the Delete key. (The settings under HKEY CURRENT USER apply only when your user account is logged on. The ones under HKEY CLASSES ROOT apply to all users). "When you open the System applet (in the Control Panel), you will see some specific information listed on the General tab such as who the type of computer and the registered owner. However, you can edit the information to also have your specific information displayed. For example, if you sell computers, you can have your company information displayed to remind your customers how to access your support information. You can create as many lines as you need by incrementing the number for each new line required. 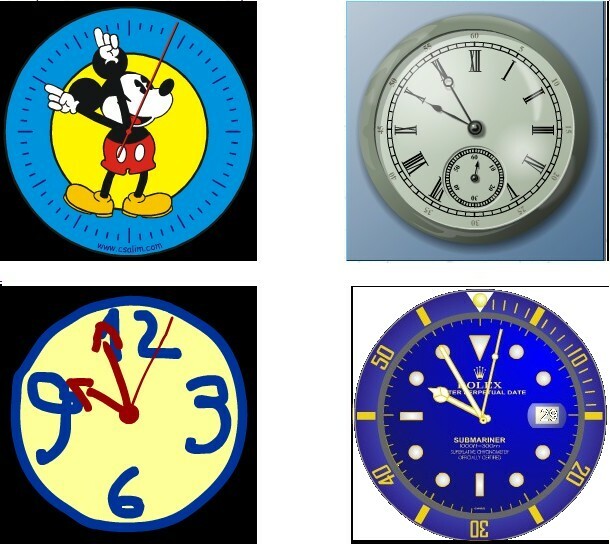 To take this one step further, you can even have your company logo displayed by creating a 172x172 pixel bitmap image. Name the image oemlogo.bmp and save it in your system directory. Now when you open the System properties applet, your company information should appear." Here's a simple way to display different icons on your desktop. 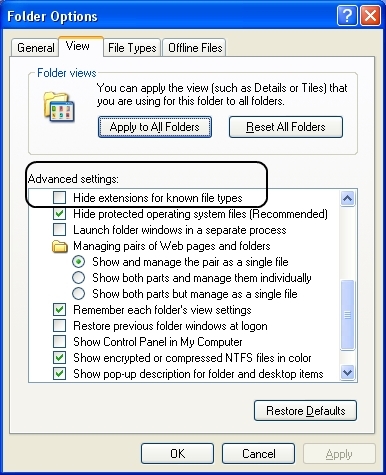 Right-click on a desktop folder and choose Properties. 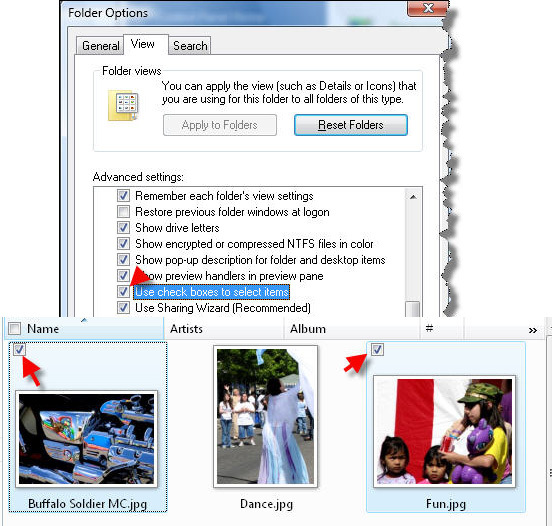 Assign Custom Icons to Windows Explorer Folders. 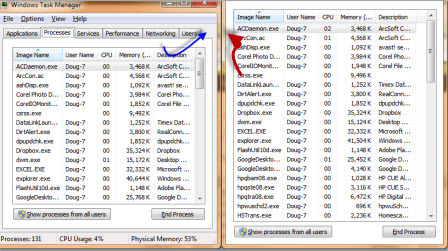 The Iconolog, the art of virtual (desktop) litter. Not every service that is running on your machine is needed. Windows Networking has published a list that you may want to investigate. The suggestion is to turn them off one at a time. Sends alert messages to specified users that are connected to the server computer. ClipBook permits you to cut and paste text and graphics over the network. Windows XP allows users to switch quickly between accounts, without requiring them to log off. You don't need this if you have other software to create CDs. Transmits net send and Alerter service messages between clients and servers. This is how a lot of pop-up windows start appearing on your desktop. In the old days of Windows, the shutdown option was not of great concern, because it remembered the last action and repeated it. Vista is a little more stubborn. 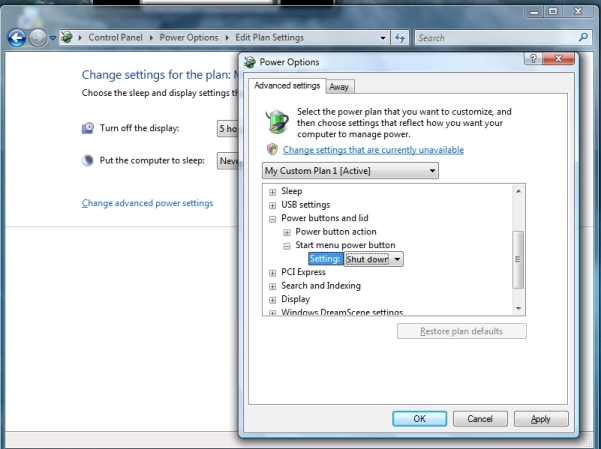 The default action for the Power button on the start menu in Windows Vista is Sleep. Many of my techy friends leave their machines on for years, but I prefer to shutdown at night. Find "Power buttons and lid"
Changes the hardware power button action. It is said that the Office 2007 Graphical User Interface Ribbon cannot be as easily changed or modified like it has been in previous versions. This may be partially true, but not all is lost. Monsieurs MS also have a downloadable spreadsheets with the Control IDs. There are files for 2003 as well. The "Type a question for help" box on your Office toolbars can be hidden. 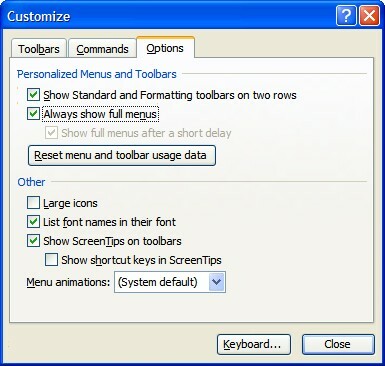 Open the Customize dialog using Tools>Customize. Right click on the "Type a question for help" box on the menu bar and remove the checkbox. To reset the box, go to Tools> Customize again. The box will be displayed. Right click and choose "Show Ask a Question box". You can also get rid of Balloon pop ups, such as the ones that appear near the clock on the Task bar. As always backup your registry settings before making these changes.